The spray wand on your pull-out kitchen faucet is susceptible to wear and tear, so a replacement is far cheaper than installing a whole new fixture. If you are looking for a Moen, Delta, or Brizo replacement (and more), you've come to the right place. 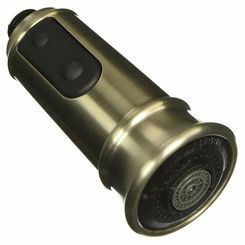 We have so many discount faucet parts to choose from, you will be certain to find the best product. 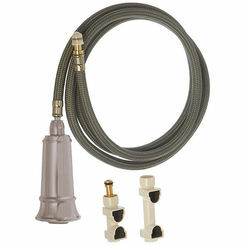 Save on replacement spray wands and kits and get your kitchen sink working like new. Two of our most popular options are the GROHE 46573DC0, as well as the GROHE 46173SD0. What Is a Spray Wand? 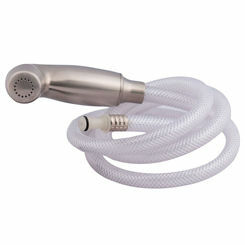 Your kitchen spray wand, also known as a pull-out sprayer is similar to a kitchen side sprayer. 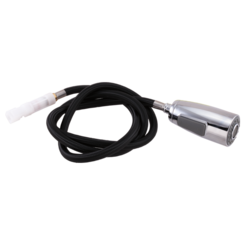 While similar in function and used for tasks such as filling pots, rinsing fruits and vegetables, and cleaning your sink, a spray wand is larger and offers a much more comfortable grip than a side sprayer. 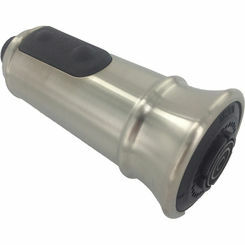 This difference makes spray wands ideal for those with degenerative motor control function and limited range-of-motion skills, such as those suffering from arthritis. 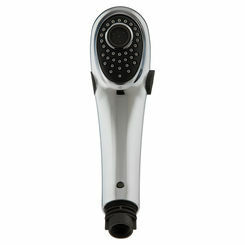 Additionally, spray wands come with many features not found in your typical kitchen side sprayer. 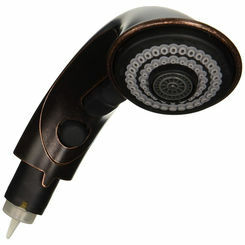 These features include cool-touch technology, which keeps the body of your wand cool, even when using hot water temperatures. Spray wands also come with different water spray functions including an aerated stream of water, a spray feature, and a pause stream feature. Combined, these features allow spray wands to be used for longer periods of time and perform faster and more efficiently than a side sprayer. 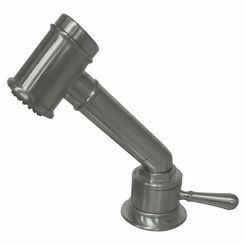 There are a variety of different spray heads that can be used in your kitchen based on the type of sink or kitchen faucet you have. These spray heads can be categorized into 3 different groups: Side Sprayers, Pull-Downs, and Pull-Out Wands. 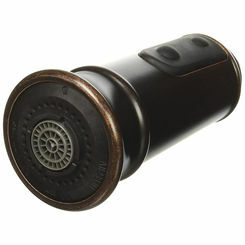 Side Sprayer – These spray heads are the most commonly seen in kitchens today. The side sprayer is the typical spray head that sits in its own hole on your kitchen sink next to your faucet. While common, that’s not to say they aren’t beautiful. 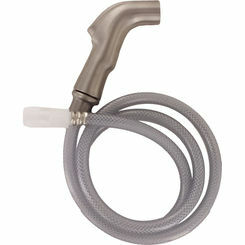 Many side sprayers now come bundled with your kitchen faucet to provide the ultimate kitchen water experience. Gone are the days of rinky-dink, cheap metal or plastic side spray heads—today’s modern spray heads are sleek and beautiful with finishes and designs meant to evoke a contemporary or classical look in your kitchen. 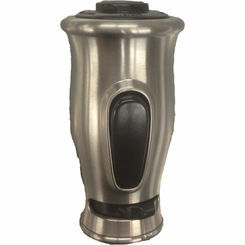 If you’re looking to replace your old side sprayer with a newer, more modern one, you’ll find a vast selection of polished looks and sheer finishes here at PlumbersStock from brand names Brizo, Delta, and Moen, to name a few. Keep in mind that purchasing a side sprayer for the first time will require cutting a new hole of a certain size cut into your kitchen sink. 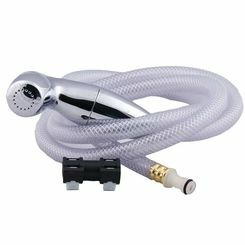 Pull-Down Sprayer – Pull-down sprayers are becoming increasingly popular with modern kitchen faucets. 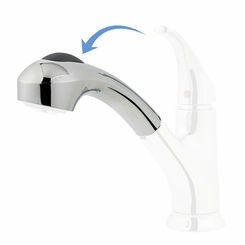 Many kitchen faucets are now coming with an integrated or pull-down sprayer that sits in place of the faucet. The nice thing about owning a pull-down sprayer is that it can function as a faucet or spray head with the push of a button. 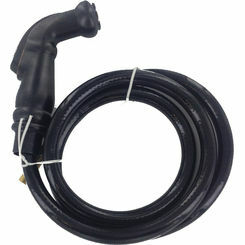 Many pull-down sprayers offer the user an arsenal of features including a magnetic dock, 3 function spray head, and a no-kink hose. 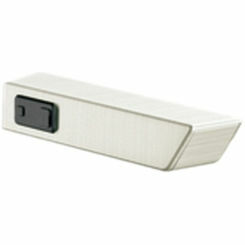 A magnetic dock allows the spray head to magnetically latch back to place when you’re finished, meaning no more sagging or limp pull-down spray heads. The 3 function spray head means you can choose between spray, aerated stream, or pause stream for the perfect amount and pressure of water for whatever application you need. 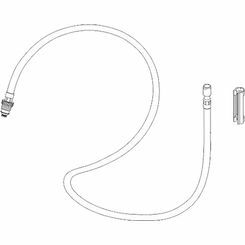 Finally, most pull-down faucets will include a no-kink hose that allows you to pull down the spray head and tilt, pivot, angle, and swoop it around without fear of the hose tangling. If you’re looking for a modern and beautiful kitchen spray head with more features than a side sprayer, a pull-down sprayer might be the perfect thing for you. 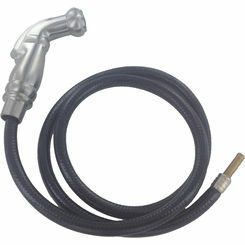 Pull-Out Wands – Pull-out wands are similar to side sprayers except they are much bigger and designed like a shower wand. Pull-out wands are best used for cleaning veggies, filling pots, rinsing off dirty dishes, and cleaning your sink, all of which can be done faster, more efficiently, and more comfortably than with a side sprayer. Pull-out wands have a cool-touch feature that keeps them cool to the touch, even if you’re using high water temperatures. Additionally, just like many pull-down sprayers, pull-out wands have various water settings including aerated streams and spray functions. Pull-out wands aren’t as common in homes today but are great solutions for those with limited range of motion and motor-control skills, such as those with arthritis. Spray wands are fantastic additions to any kitchen because they offer a flexible stream of water that can be angled and raised or lowered in any direction. Spray wands make tasks like washing dishes easier to accomplish without the hassle of having to pivot your kitchen faucet back and forth. 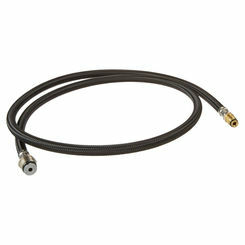 Even so, spray wands have a few common problems that may require the replacement of parts like hoses. Below is a list of some of these common troubleshooting problems and what you can do to repair them. 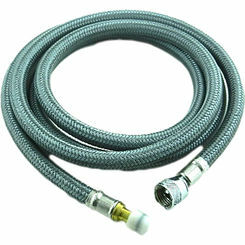 Hose Won’t Extend as Far – Over time, you may notice your hose isn’t extending as far as it used to when you first bought it. 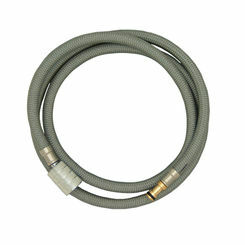 Since your spray hose is designed to be flexible, make sure it isn’t caught on anything underneath the sink. If that’s not the case, inspect it and smooth out any tangles and kinks it may have. Hose is Leaking Underneath Your Sink – If you notice mysterious puddles of water underneath your kitchen sink, your first thought could be it’s because of your water supply lines. However, your spray wand may be the culprit. For this scenario, if you suspect the spray wand is to blame, the best choice would be to replace the entire spray assembly (the spray wand and the hose). 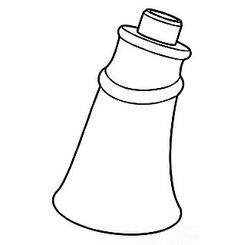 Mixed Spray Patterns – If you’ve noticed that your spray wand mixes spray and stream water whenever you use it, it may be because the diverter is caught in between the two. 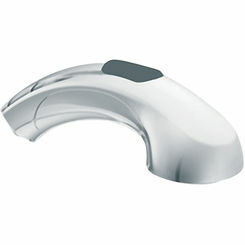 A typical wand will use a side-to-side diverter to help you change spray patterns. 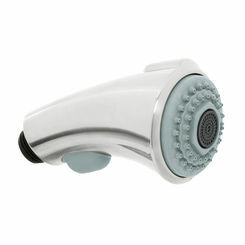 If your diverter isn’t pushed to one or the other side, you’ll wind up with a mixed spray/stream. Spitting Sprayer Spray Isn’t as Strong – If you notice your spray wand is spitting water angrily every time you try to use it, or if it seems the sprayer’s water pressure has dropped, it may be due to mineral debris buildup caught between the wand and hose. To clean out the debris, shut off the water supply to that area of the kitchen and unscrew the wand from the hose. Lightly tap the screen in the wand to remove any debris. If necessary, gently flush away tough debris. Screw the wand back on to the hose and wipe the face of the wand to remove any caked on residue. When you shop online at PlumbersStock, you have access to the best replacement spray wands from all the name brands. 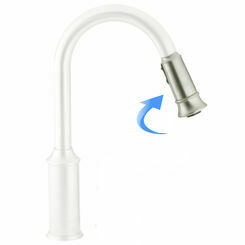 Update your kitchen and get your faucet installation working like new, all at a discount price.